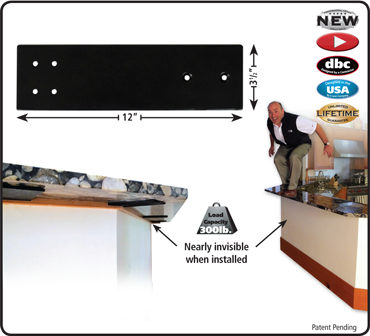 The Stealth SpeedBrace supports your countertop and bar overhangs with no visible kicker or expensive corbels. A pair of Stealth SpeedBraces will support 300 pounds of weight, so go ahead test that kitchen counter. Sold individually.